The 2018 AFL Finals series continues this weekend as we head to prelim round with two monster matchups. Richmond and Collingwood will do battle from the MCG on Friday night before West Coast host Melbourne at Optus Stadium on Saturday afternoon. You can check out our preview and tips for the Friday night game here or continue reading for our Saturday afternoon preview of the Eagles vs Melbourne! Melbourne were fantastic in their 33-point win over the Hawks at the MCG on Friday night. After a tight first quarter, the Dees kicked the only three goals of the second quarter and piled on another six to three in the third to ice the game completely. Tom McDonald was dominant in the win, booting four goals while Jack Viney was the leading disposal getter on the ground with 27 touches. Christian Petracca was also a massive influence on the game, displaying his game breaking ability on multiple occasions as he racked up 22 touches and seven score involvements. Max Gawn will need to be massive this weekend against the two big West Coast ruckman in Scott Lycett and Nathan Vardy. Gawn had 41 hit-outs and was influential in the win over the Hawks. The Eagles would have welcomed the week off after copping some heavy bumps and bruises in their qualifying final win over Collingwood. Lycett and Elliot Yeo both missed some training sessions in the week off but will be right to go this weekend while Josh Kennedy should get some fitness back into his legs after playing his first game in seven weeks against the Pies. West Coast’s size creates a massive contrast to how Melbourne like to play. Melbourne have implemented Richmond’s strategy of pressuring, running, chasing and carrying the ball through the middle of the ground via handballs at all cost. They love to get the ball into their forward line and keep it there until they score. West Coast, on the other hand, play more of a possession style of football and like to use their silky skills off half back to launch counter attacks. They’ll back themselves to score more points than the Demons with fewer inside 50s as key forward combination Josh Kennedy and Jack Darling love to take every opportunity they get. The Melbourne/Richmond game style is definitely the flavour of the month at the moment, but it has failed to work throughout the year against the Eagles. Melbourne did defeat the Eagles at Optus Stadium in Round 22, however, Kennedy didn’t play in that game. Jeremy McGovern is a massive deterrent to the kicking long and locking the ball in the forward line style of play. He places himself in fantastic positions to take intercept marks and get West Coast on the counter attack which gives the likes of Darling and Kennedy great one on one opportunities. 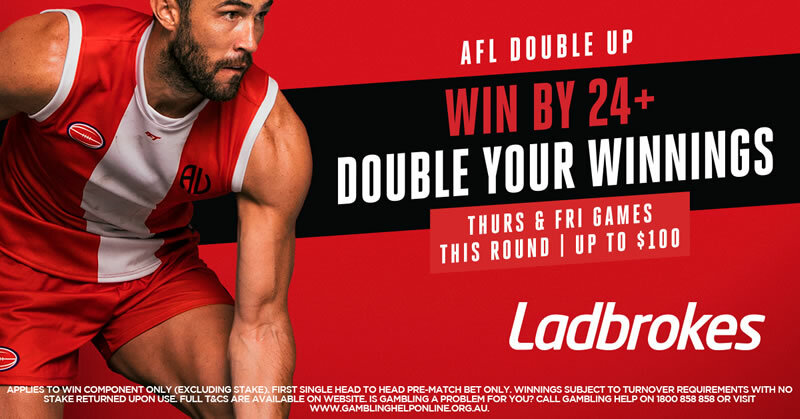 West Coast start as slight 2.5 point favourites and we have to agree with the bookies given they are yet to lose a game when both Darling and Kennedy have been in the line-up this season and they have the home field advantage. Melbourne are in some fantastic form in the finals so far but they have played two sides that clearly were out of form in the Cats and Hawks. I think the Eagles in Perth is a massive test for them and one they won’t be able to overcome.